Las Vegans can expect a sunny, warm start to the week before winds kick up midweek, according to the National Weather Service. 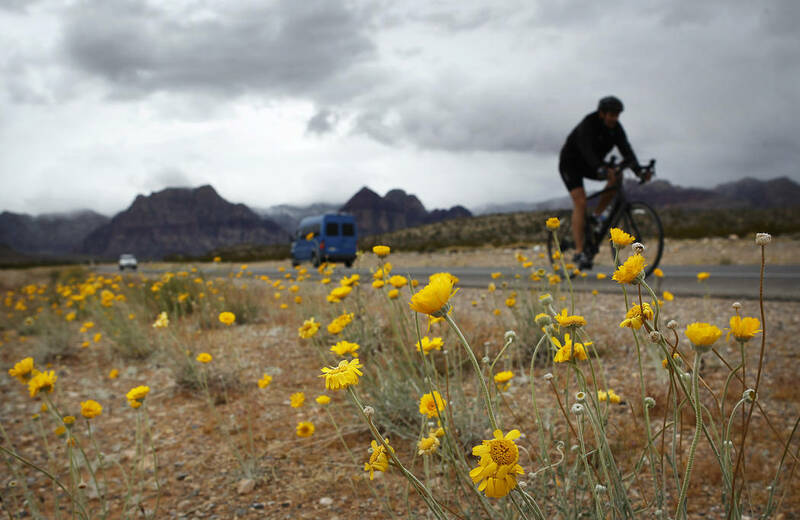 Tuesday could be the first time this year that the valley sees a high temperature of 80 degrees, weather service meteorologist Kate Guillet said Sunday. After a high of 73 on Sunday, Monday will warm up to 77 with an overnight low of 51. Temperatures Tuesday afternoon will climb to 80, as breezes and clouds begin moving into the valley, the weather service said. Tuesday’s forecast high is well above the normal high temperature for this time of year, 72 degrees, Guillet said. Tuesday’s overnight low will be 57, before temperatures reach 78 midday Wednesday. Winds could gust upward of 30 mph on Wednesday, the weather service said. High temperatures Thursday and Friday will be 71 with low temperatures in the low 50s both nights. The valley should remain dry through the week.